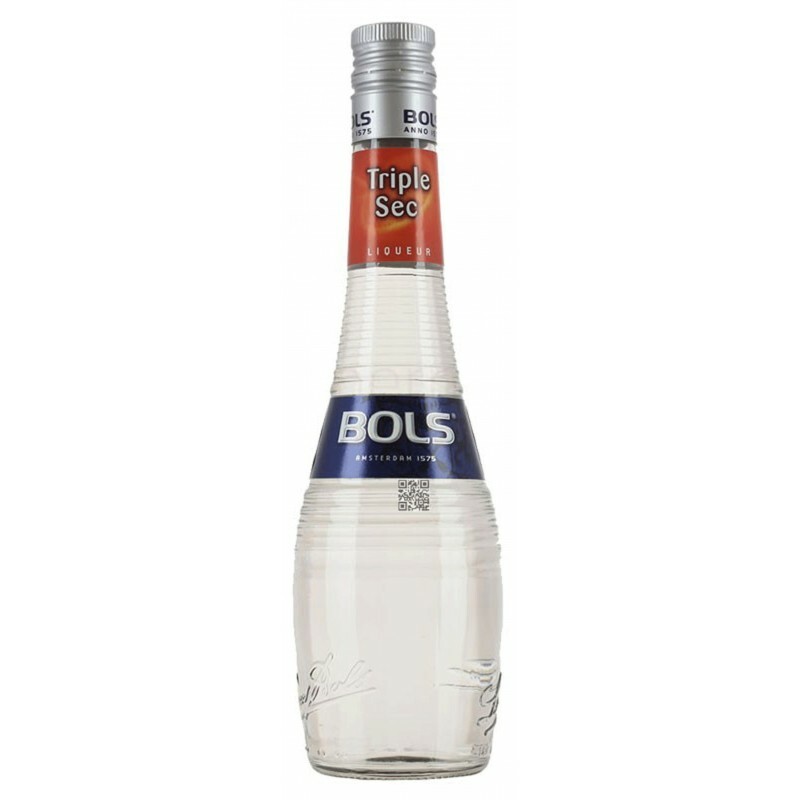 BOLS Triple Sec is a liqueur with a crystal clear taste of orange Curacao with a touch of citrus. It is, without a doubt, the liquor is indispensable in a modern bar. At least half of all classic drinks and modern are made with Triple Sec or a variant, such as, for example, the Dry Orange Curaçao. From the Sidecar, Long Island Iced Tea, from the White Lady to the Cosmopolitan or the Kentucky Lemonade, Bols Triple Sec adds the full taste of orange Curaçao.The secrets of the recipe for Triple Sec Curaçao have been carefully preserved by Bols in the course of the centuries. Many of these recipes are based on prescriptions. In the past, the doctors mixed up a little bit of triple sec to their medicines to make them more lovable. This has played a fundamental role in the diffusion of this liquor. Taste:full Taste – touches of citrus and candied orange dried. Aroma:Citrusy, fragrant and slightly sweet and sour. Use:neat, with ice, perfect for cocktails and drinks mixed. Very well known for its use in the cocktail Margarita.